The Rink Sport arena is 1½ miles from Cherryville House and boasts a large 41mm x 18m multi purpose sports hall. 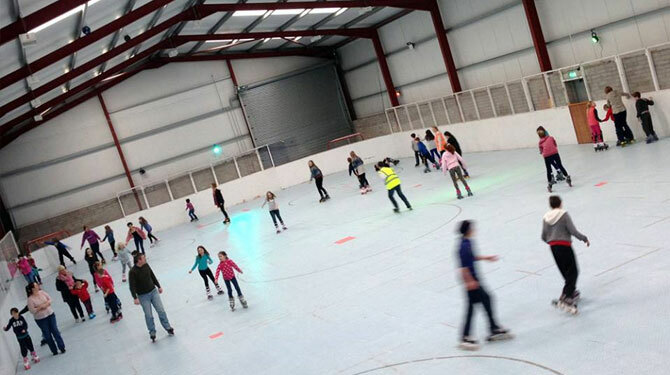 The hall is the only venue in both Northern Ireland and Republic of Ireland to be fitted with an “Ice Court” multi-sports surface. The surface is suitable for all indoor sports including, Football, Basketball, Volleyball, Tennis, Hockey, Roller Skating, Roller Hockey & all wheelchair sports. The sport hall is surrounded by plexi glass rebound boards and features 5m wide curved corners to create a rink environment.